The Cruze is Chevrolet’s best-selling passenger car in Canada—by a wide margin—and so far in 2018, the brand’s best-selling car in the United States. 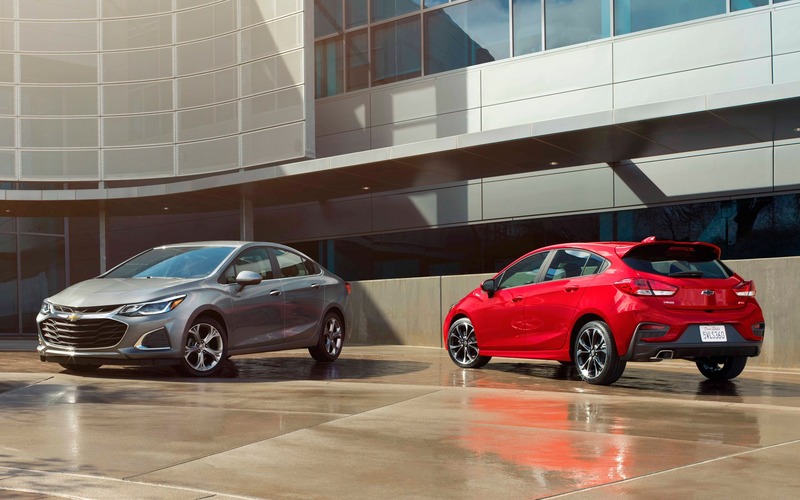 For 2019, the compact sedan and hatchback receive some styling enhancements and a few new features. General Motors presented the 2019 editions of the Chevrolet Cruze, the Chevrolet Spark, the Chevrolet Malibu and the Chevrolet Camaro during a media event in Las Vegas, where the The Car Guide also had to opportunity to discover the 2019 Chevrolet Corvette ZR1. The biggest change can be found up front, as the Cruze gets a new grille design that the company says reinforces the car’s premium appearance. The Premium trim level now boasts LED taillight accenting, and there are new wheel designs, too. A new infotainment system, called Chevrolet Infotainment 3, should be standard in the Cruze, matched to a seven-inch touchscreen. LT and Premier variants now get automatic climate control and a remote engine starter. The Cruze Hatch, which accounts for 20% of the model’s sales according to GM, should add a lower-priced LS trim level. At the moment, the Cruze sedan is available in L, LS, LT and Premier grades, while the Hatch is only sold in better-equipped LT and Premier guise. Both the sedan and the hatchback are available with either the turbocharged, 1.4-litre four (153 horsepower) or the turbo-diesel 1.6-litre four (137 hp). As before, an RS appearance package is offered on LT and Premier variants. No pricing details yet, but the 2019 Chevrolet Cruze will be on sale later this year.